Eve: Where to begin? 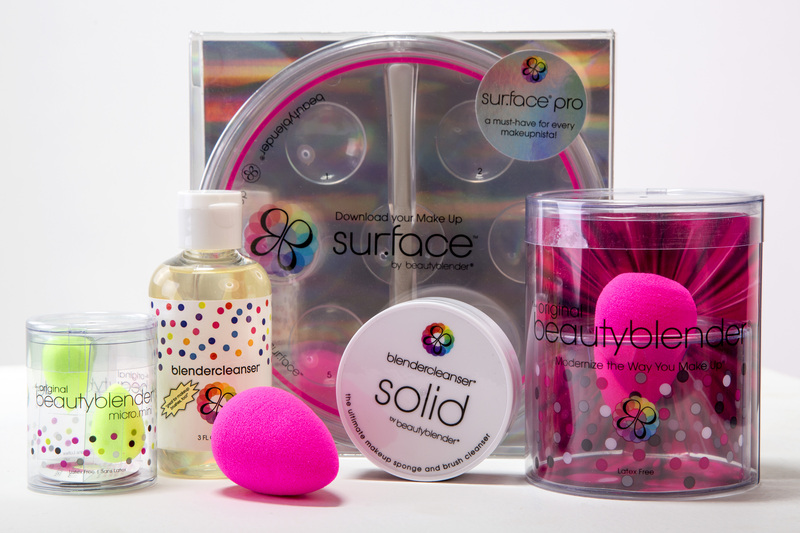 I cannot say enough about this little pink gem – the beautyblender is AHHH-mazing! Hands down, the best beauty tool there is. Throw out your brushes, concealer applicators – this perfectly-shaped makeup sponge is all you need. After the first use (I used it to apply my liquid foundation and concealer), I noticed an instant difference in the look and texture of my skin. It flawlessly and easily blends right in. Forget about streaks or lines, this beauty of a product takes care of those problems. And what is so great, you don’t need to put your hands on your face (which adds oil and grime) and there is NO tugging – translation – less reason for those pesky pre-mature wrinkles to appear. The pointed tip makes it a dream when applying concealer. Again, there’s no pulling or tugging around the ever so delicate eye area. Just tap it into the skin and it’s done, as if a professional makeup artist did it. Truly, I’ve never felt so passionate about a makeup tool. It lives up to the hype. And, delivers an impeccable result. It’s latex-free, non-allergenic, odorless and super easy to wash. See? I just can’t find any downsides to this beauty tool. It will forever have a home in my makeup bag. I’m in love to say the least. And omg, there are other products in the line to try – I can’t wait! Julia: Eve, this is one product we can both agree on! I use the original beautyblender to apply concealer and BB Cream. I find that I use less makeup because none is wasted by being absorbed into the sponge. I’ve used drugstore brand foam wedges as makeup applicators and they end up soaking up about half the product. What a waste! Oh, and you have to throw those applicators away after a few quick uses because they break down and get grimy. I love that this little guy just keeps on going. My beautyblender looks brand new after many uses and washes. It’s a nice break from my usual brushes and it’s perfect for traveling when I don’t have tons of space. This one definitely gets our approval! Like us on faceandbodyshoppe.com or follow @FaceandBodyS for a chance to win the original beautyblender single and blendercleanser 3 oz. Link | This entry was posted in Beauty Tips and tagged beautyblender, tips. Bookmark the permalink.